In 1204 Count Baldwin of Flanders took part in the Fourth Crusade. 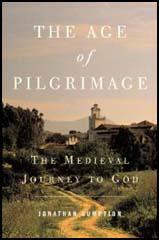 The following year he met a priest from England returning from a pilgrimage to the Holy Land. Baldwin appointed the priest as his chief chaplain and keeper of Holy Relics. The most important of these was a small cross that was said to have been made from from the cross used to crucify Jesus. When Count Baldwin was defeated at Adrianople on 15th April, 1205, the priest fled with the relics. On his arrival back in England the priest went to St. Albans and offered to sell them Baldwin's relics. According to the medieval chronicler, Matthew Paris, the monks took two fingers of St. Margaret and some jewels but rejected the cross. In March 1206, the priest took the cross to a small Cluniac monastery at Bromholm in Norfolk. The monastery had been founded in 1113 by William de Granville. It remained small and by the time the priest visited Bromholm there were only eight monks living in the monastery. In return for allowing the priest and his two sons to stay in the monastery, he gave them the cross. Matthew Paris commented that the cross was "constructed of two pieces of wood, placed one across the other, and almost as wide as the hand of a man". Over the next few years stories began to circulate that "divine miracles" were taking place in Bromholm. One man wrote that "dead folk were restored to life, the blind saw, the lame walked, lepers were cleansed, those possessed by devils were freed". He added that "whosoever might be the sick man who came to that Cross with the faith in the Holy Wood, he departed whole and sound". In April 1226, Henry III visited Bromholm and Walsingham. On 6th April he granted Bromholm the right to hold a fair of three days for the festival of the Exaltation of the Cross (14th-17th September). The support of the king made Bromholm a popular place for pilgrims to visit and it is mentioned in the work of Geoffrey Chaucer and William Langland. The monastery received numerous gifts. Henry III for example gave Bromholm Monastery a silver model of a ship being built in Portsmouth (1227) and a silver-gilt image of himself (1234). 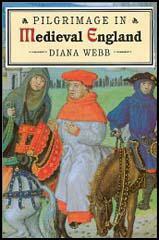 Edward II also provided several objects and privileges, including a grant of a manor. In the 15th Century the chronicler, John Capgrave, claimed that at Bromholm "thirty-nine had been raised there from the dead, and nineteen blind restored to sight." However, by this time other Holy Crosses had become more important to pilgrims. This included the cross on the north door of St. Paul's Cathedral and the cross held at Bermondsey. In February, 1537, Henry VIII sent his chief commissioner, Richard Southwell, to collect the relics at Bromholm. These were probably sold because at this point the cross disappeared from history. Matthew Paris has also recorded the story of this wonderful cross, to the effect that Baldwin, Count of Flanders, being harassed by infidel kings, and neglecting in his march against them to take the Cross of Christ and other relics with him on his campaign, was in consequence defeated and slain. A chaplain of English extraction had been left in charge of the relics, and he, on learning of the Count's death, hurried from Constantinople with the sacred treasures. He came to England with his spoil and commenced business at St. Albans Abbey by selling to the monks some jewelled crosses and images of St. Margaret, but he failed to induce them to purchase the piece of the true Cross. After offering the relic to several wealthy monasteries without disposing of it, the chaplain came at length to the poor chapel of Bromholm. (2) Matthew Paris wrote about Bromholm Monastery in around 1250.
was crucified. But no one believed him. At last he came to a monastery called Brabham, in Norfolk. It was miserably poor... The monks were overjoyed to have such a treasure... miracles began in the monastery. The dead are raised to life, the blind have their sight, the lame walk, and those possessed of devils are freed. A convent of nuns in Yorkshire, who have a large piece of the Cross of our Lord, set in silver in the shape of a Jerusalem cross, desire to trace its history. A member of the family of Paston was at one time Superioress of this convent. Now the Fastens were intimately connected with the Priory of Bromholm, and lived in the next parish, and it does not seem improbable that at the Dissolution the celebrated relic of the true Cross, for which Bromholm was famous, may have come into the possession of the Paston family.